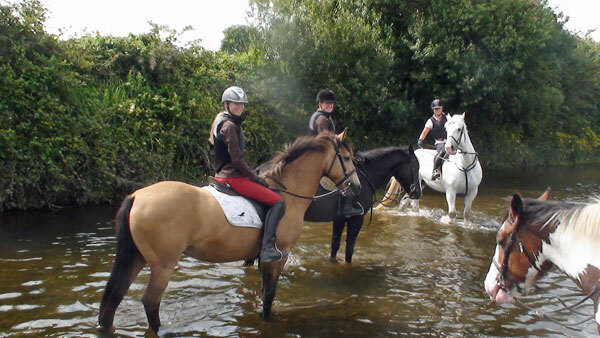 This trip is perfect for those who are looking for fast-paced riding and a lot of jumps on fantastic horses. 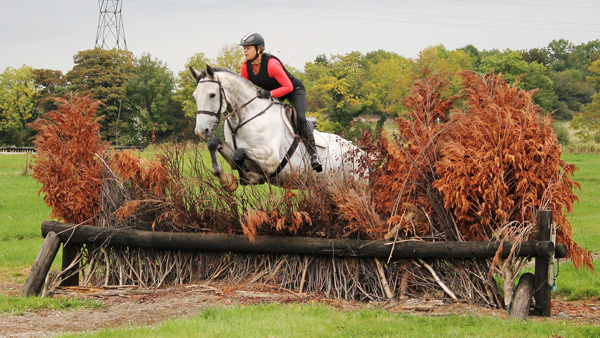 You don’t need to have ridden cross country previously, but you should be used to high-tempo riding in the outdoors. 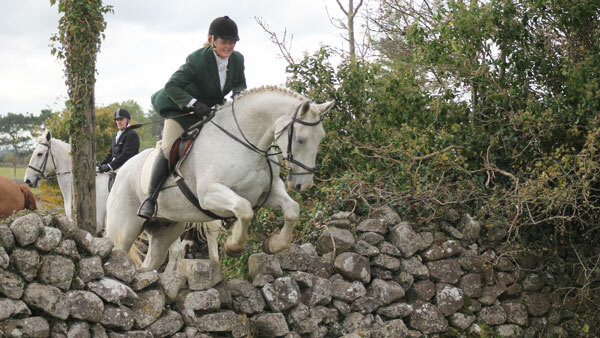 You will encounter real Irish charm and a lot of horses. People who are open, unpretentious and have a bit of courage will love this location with its genuine expertise built up over many years. 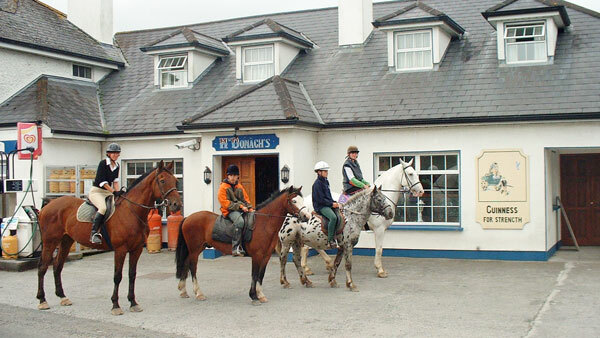 You will either stay at a charming B&B in the village, 15 minutes from the equestrian centre and 45 minutes fom the city Galway. In the morning you will enjoy a real Irish breakfast and you will then be driven to the farm where you will spend the day. There are several different pubs and restaurants to choose from in the evening. Or if you prefer full board, you´ll choose to stay at a B&B and pub in Tynagh, 10 minutes from the equestrian centre, where you will have a nice and cosy pub dinner after a full days riding. 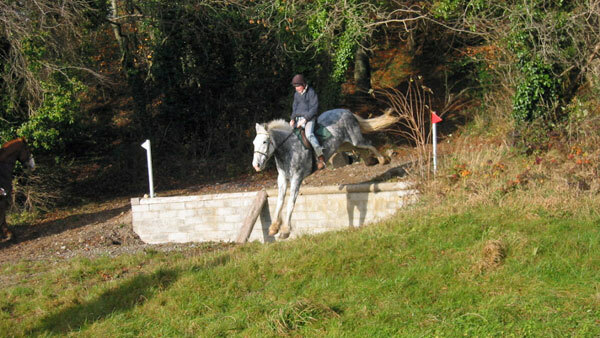 There is a large cross country course with up to one hundred jumps. There are also a number of smaller jumps that allow you to build your confidence during your stay. A weekend includes approximately 8 hours of riding or you can stay a short week and enjoy approximately 15 hours of fantastic riding. Whatever you choose you will have a great time. From November to February you can combine cross country with hunting. 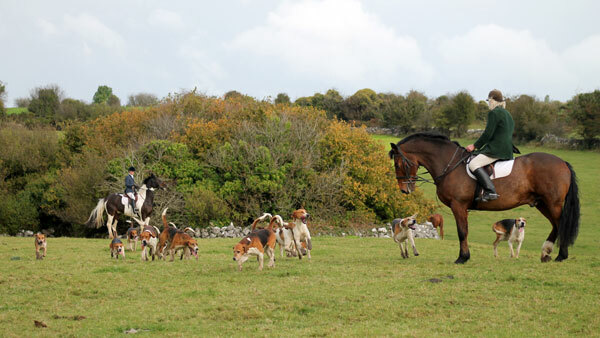 The hounds follow a trail that has been laid and which leads you over the jumps. With everyone dressed up, it is just like riding in a painting. The hunt begins and ends at the pub. You must give this a try. 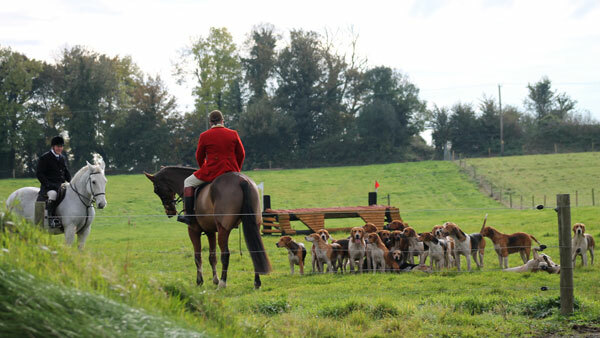 Take the opportunity to join a hunter trials in Ireland. 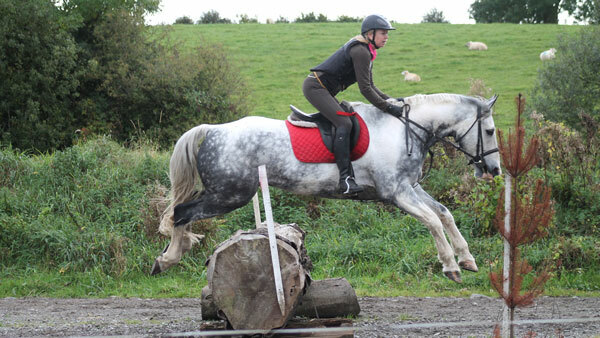 Oliver will give you a suitable horse that will take you round the course in a safe way. Arrival on Wednesday with a short ride on the estate. Thursday and Friday you get to try the cross country course. 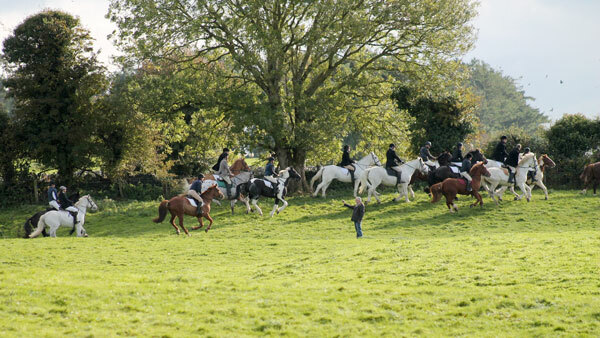 Saturday morning is an informal “hunt” on the estate with hounds or more riding on the cross country course. And on Sunday is the competition, the classes are; pre novice 80 cms /novice 90 cms and Open 90 plus ok – you are entitled to 2 rounds - and pay the entries of 25 Eur per class direct. If you want to go 3 times its plus €45 - this can be paid on the day if you decide to go a third round. This is a unique possibility to join an irish competition. What an experience! Subject to Hunter Trail may be canceled because of too wet in the grounds. Then you will ride cross country on the riding centre instead. 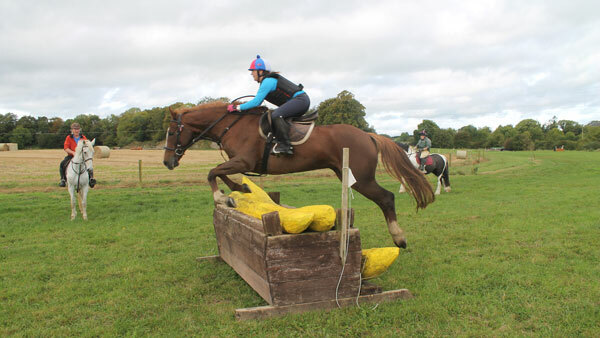 This programme is suitable for riders who can trot, canter and gallop confidently, experience in cross country jumping not necessary, training for those wishing to improve their cross country jumping will be provided. Included 3 nights accommodation, approx. 8-10 hours horse riding and riding 2 different horses per day. 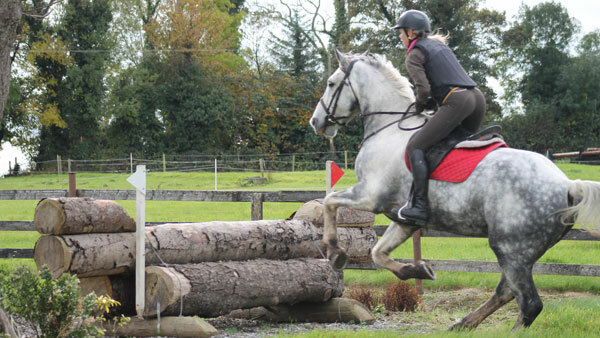 This programme is suitable for riders who can trot, canter and gallop confidently, it is advisable to have some experience in show jumping and have jumped cross country, training for those wishing to improve their cross country jumping will be provided. 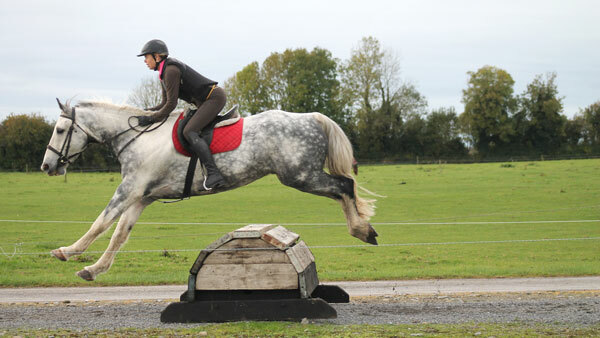 Riders are advised to be reasonably ‘horse riding fit’ for this short week "jumping confidence" programme. 4 days horse riding (approx.15 hrs) 2 different horses per day from a selection of 70 horses and ponies. Tuesday- arrive afternoon/evening - ( short hack out, arrival not later than 1 pm) or if its later clients can come to the riding centre and walk about and see the XC course/horses if they want. Thursday - 10 am to 11/30 show jump lesson followed by a hack on a different horse - break for lunch- 1/30 to 3pm xc training. Get away on an action-packed weekend with a lot of jumping on beautiful horses. The weekend starts with a test ride on Thursday (if you arrive before 1.00 pm). You then have two rides on Friday and Saturday. You will ride on selected sections of the cross country trail. You will get to try a number of beautiful horses. 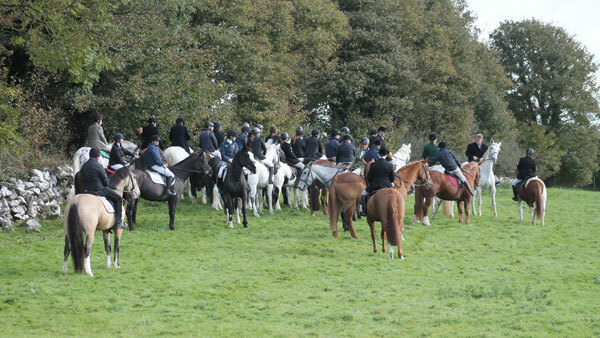 On the Sunday you will dress in white riding pants and jacket and the horses are transported to the hunt’s meeting point – a local pub. After a drink to warm up, you mount your horse. 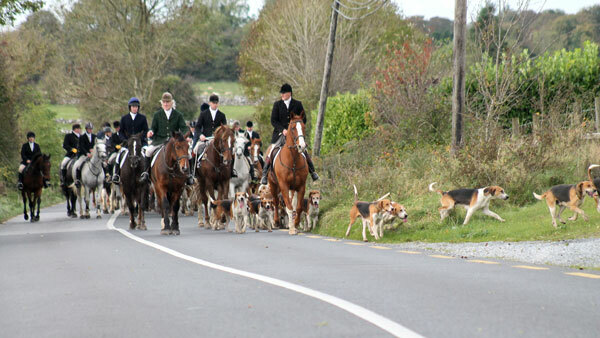 The hounds bark and the horses are eager to go and everyone wants to get underway. It’s like riding in a painting. The hounds follow a trail that has been laid and which leads you over the jumps. The tempo is often high and so you need to be sure in the saddle. After the day’s hunt, you meet again at the pub for a drink and a bite to eat and to talk about the day’s events. This experience will live long in your memory and is perfect for those who would like to add some color to an otherwise long (and often grey) winter. Cap fee: €70-100. Paid on location. Some meets /venues or clubs may be subject to change for example - weather and ground conditions. 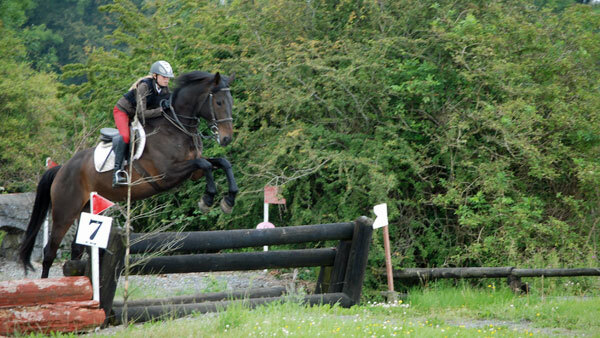 Anna is a professional trainer in eventing and competes herself. 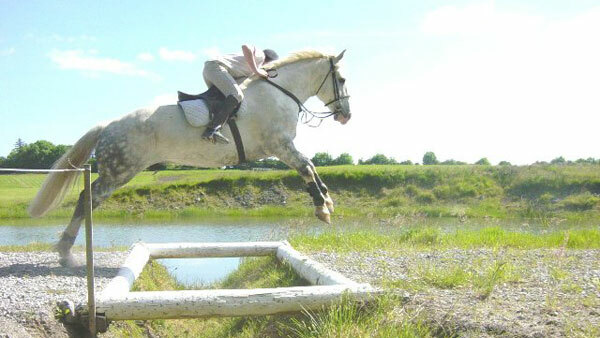 She will have eventing courses at our equestrian center in Galway. "Eventing is my passion. To also have access to lots of fine horses and a hundred terrain obstacles .... life couldn't be better. " Take the opportunity to spend a rewarding and fun weekend with her. Anna is very popular among her students and she gets everyone to develop and thrive with her positive and enthusiastic style. This long weekend is a perfect start for the eventing season. 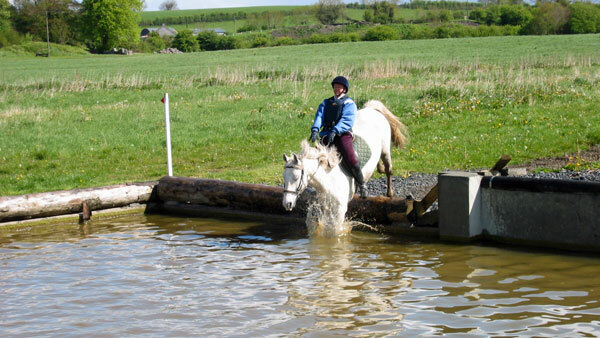 On stable and well trained horses, you will get to practice all types of eventing obstacles. You will ride several horses and at the end of the stay you can complete an entire course. You live and eat well at the B&B in the village. Minimum 5 and max. 8 persons. Regarding accommodation you can choose from 2 alternatives. You will stay in Marys charming B&B in Portumna (about 15 minutes by car from the farm) in a double room with shower/toilet. Single rooms can be booked (price for single supplement is available under Dates & Prices). If there is no one to share a room with, a single supplement will be added. Towels and sheets are provided. In the morning you will enjoy a full Irish breakfast and you will also be provided with a sandwich lunch by Mary that you can eat at the farm. Once the afternoon’s riding is completed, you will be driven back to the B&B. For dinner there are several restaurants and pubs to choose from within walking distance. You will be taken care of by Caroline in her combined B&B and Pub in Tynagh (about 10 minutes by car from the farm) in a double room with shower/toilet in the corridor (private). Single rooms can be booked (price for single supplement is available under Dates & Prices). If there is no one to share a room with, a single supplement will be added. Towels and sheets are provided. In the morning you will enjoy a full Irish breakfast and you will also be provided with a sandwich lunch by Caroline that you can eat at the farm. Once the afternoon’s riding is completed, you will be driven back to the bed & breakfast. In the evening you will be served an Irish Pub dinner in the cosy pub. Hair Dryer: Yes by request. There are more than seventy horses on the farm in all sizes and ages. The horses are mainly Sporthorses and Irish Hunters, but there are also some very nice ponies. They are 160-180 cm (63-71 in) at the withers and experienced at cross-country. 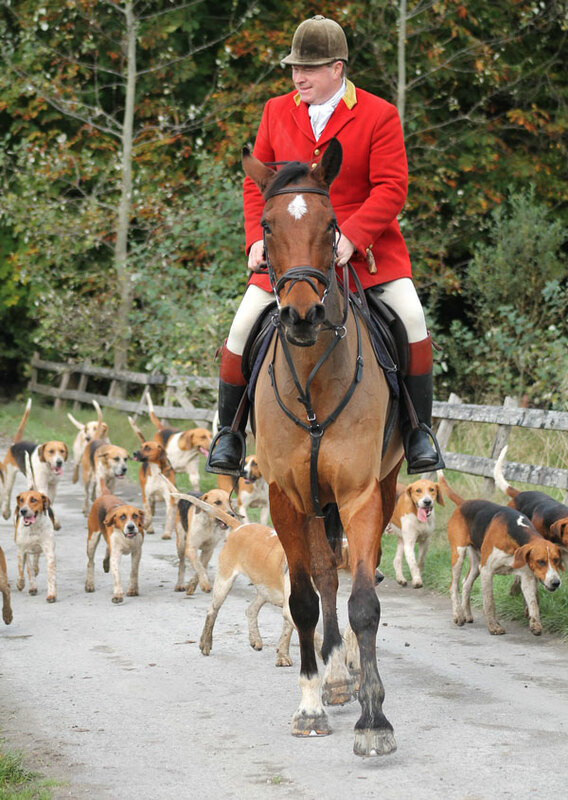 They are often out on hunts and have a very good temperament. The climate is mild. Temperature conditions are largely the same throughout Ireland. May and June are the sunniest months. July and August are the warmest with a normal daytime temperature of between about 21-24 C (70-75 F). Travel: Book flight/rental car >> We help you book your flight if you wish. Fly to Dublin. You can then choose between domestic flight, train or bus. You can also fly to Shannon or Galway. Domestic flights Dublin Shannon airport, Galway Airport. It is possible to fly with the Irish airline Aer Arann from Dublin to Shannon and Galway Airport. The easiest is to take the bus directly from Dublin airport to Loughrea (end station Galway) with Irish Citylink or Bus Eireann. The journey takes just over three hours. 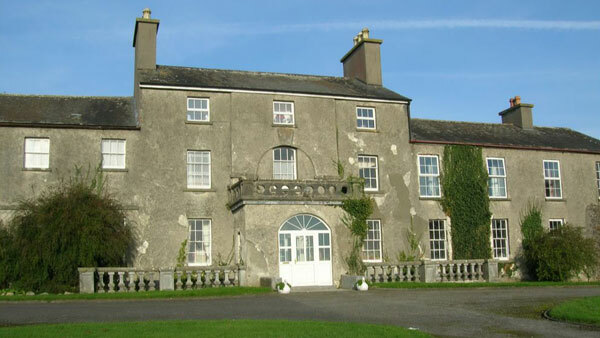 You can also go to Portumna with www.kearnstransport.com. It is 7 km from the stable. Transfer: Book in advance with HorseXplore and pay on spot to the driver. Depending on where you come from a transfer can be arranged. Call the riding center when you are in Dublin and confirm which bus you will arrive with, if you travel to Loughrea or Portumna. Rental car: If you want to explore the surrounding area on your own, we recommend renting a car. Single room: Can be booked with a supplement. For price click on ”Book on request” under Dates & prices. If there is no one to share a room with, a single supplement will apply. Credit card: Not accepted by riding center. Electricity jack: UK, three pins. 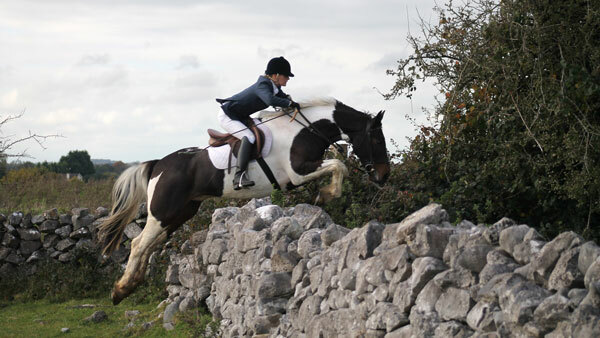 Closest village: Portumna, 7 km from stable. "Absolutely fantastic. 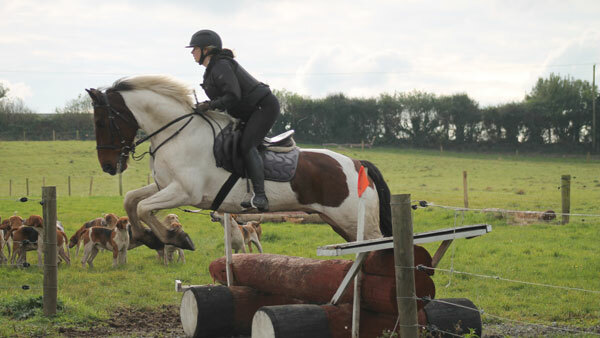 So much riding and jumping, my confidence is at its peak! Oliver is a wonderful coach who knows his horses and gives a lot of feedback in a good way. He has a twinkle in his eye and always ends with positive comment. One of the best trips I’ve had! " "You become addicted to this equestrian center, I was there for the first time and have now been there four times. I found my dream horse there last summer and I have now taken him home to Sweden. He is the best horse I've ever had! One more thing - I have never seen so many happy horses !! I would probably also be happy if I had been living in such a wonderful place and such nice staff. "